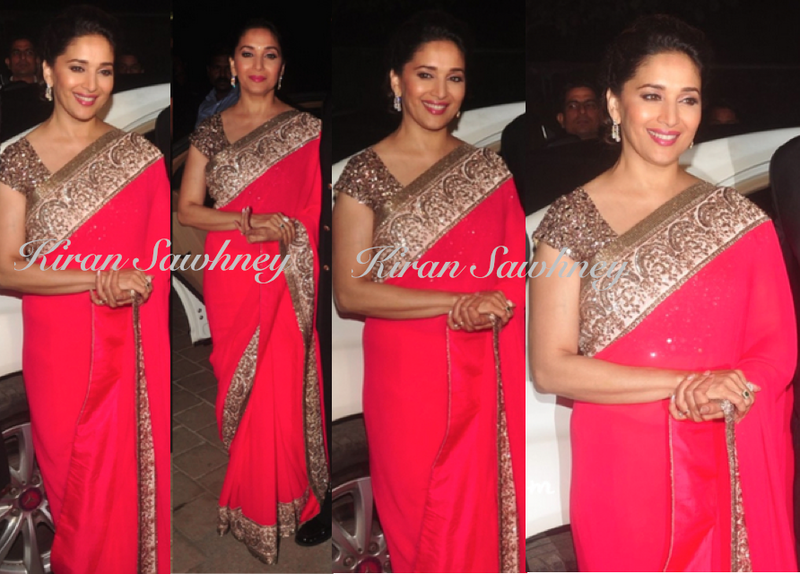 Madhuri wore a pink Manish Malhotra sari at the Hinduja wedding. We love the color and thankfully it is not over embellished sari. So it is nice but great or fabulous.